MATH 6: HW: Study, study, study for Unit 3 test on expressions. Review the vocabulary, and all the notes in your MSG. Remember the Study Guide is worth extra points on your test. I have attached another power point review. You will need to go through Chrome in order to open the link. For some reason Internet explorer doesn’t allow you to open it up. Might be the reason some kids said they didn’t have a problem opening it and others did. You can practice combining like terms and distributive property and factoring by doing p. 415 in the textbook. MATH 7: HW: P. 389, #1 and 2. If you didn’t have a chance to read through pages 385-387 in class then you need to do that first. Start reviewing your notes for the test on Friday over ratios, unit rate, and constant of proportionality. MATH 6: HW: p. 403, #4-11. Start reading through Unit 3 notes because we will have a test on Thursday or Friday this week over the entire unit. MATH 7: HW: p. 377, #1-3. Quiz over proportional relationships on Tuesday. Review your notes on cross products, cross products with distributive property and setting up proportional relationships from word problems. You will also need to be able to find constant rate from a table. Plan on Unit 3 test on Friday over unit rate, complex ratios, proportions, and constant of proportionality in a table and graph. ATTENTION ALL STUDENTS!!!!! Please help me with some of my homework! Go to the following link and complete the brief anonymous survey. When they ask for an account sign in through your Office 365 account. It should not take more than 5 minutes. Thank you in advance. If you did it yesterday, no need to do it again. ATTENTION ALL STUDENTS!!!!! Please help me with some of my homework! Go to the following link and complete the brief anonymous survey. It should not take more than 5 minutes. Thank you in advance. MATH 6: HW: Read through pages 388-389, and complete “Got it?” problems. MATH 7: HW: Cake contest project due tomorrow. Be sure you have written down your calculations and explained how you altered the cooking time and pan size. Be sure you have included all labels (measures). For example: 1/8 cup is not the same as 1/8 teaspoon. MATH 7: HW: Read through the Unit Rate Cake Contest project. 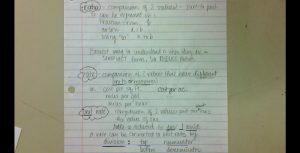 Review your notes on unit rate and complex unit rate. RETAKE for Unit 2B is Tuesday, 11/14 at 8:15. Come with test corrections because that is your ticket in the door! MATH 6: No homework over the weekend. If you were absent today, you might want to record the following notes in your MSG. MATH 7: Be sure to get your parent letter for unit 3 signed. It is worth 5 bonus points on the test. Finish your POW to turn in Monday. If you don’t turn it in on Monday it will be considered late. If you missed class today, here are the notes. MATH 6: Finish classwork, which was to read through how to write an algebraic expression, pp. 375-378. Be sure to do the “Got it?” problems on these pages. 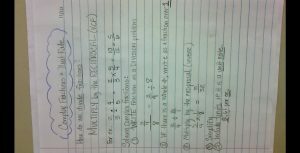 MATH 7: HW: Get Unit 3 Parent letter signed. Complete Unit Rate puzzle handout. Be sure to show the unit rate for each item. You may use a calculator. Watch the videos posted on Wednesday’s post. 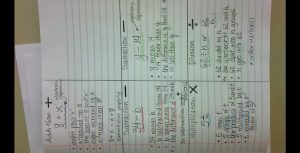 Work on test corrections. The re-test will be next Tuesday. MATH 7: HW: p. 353, #1-8. Use your unit rate doodle notes to help or look in the textbook for examples on pages 350-351. You might like to watch these videos again. Work on test corrections for retest next Tuesday. NO SCHOOL TUESDAY, NOVEMBER 7TH! ENJOY!!! Math 6: HW: p. 361, #17-20. Quiz Thursday on exponents and order of operations. MATH 7: HW: Finish Monday and Tuesday POW.